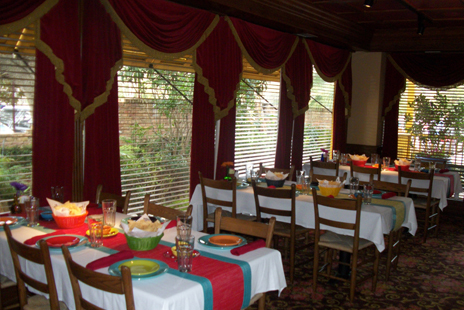 A wonderful option, the Garden Room, has two full-length window walls that offer a panoramic view of our secret garden. 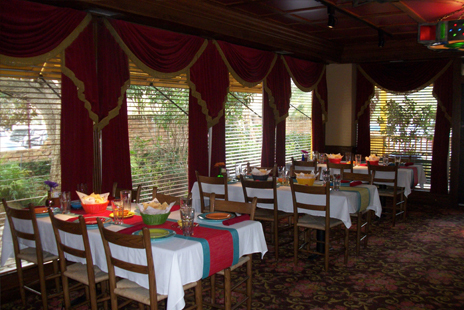 Unique festive lighting, deep red curtains with golden borders, and its soft sun-colored walls with dark wood trim make this room excellent for baby showers, reunions, birthdays, or holiday gatherings. 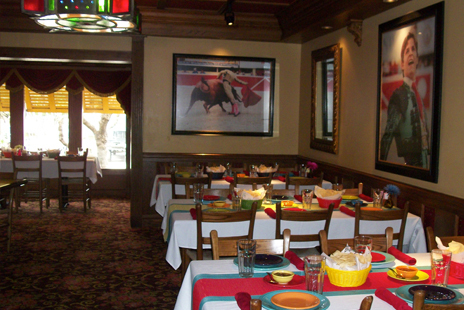 The Garden Room is your perfect choice for any and all special events, day or night. 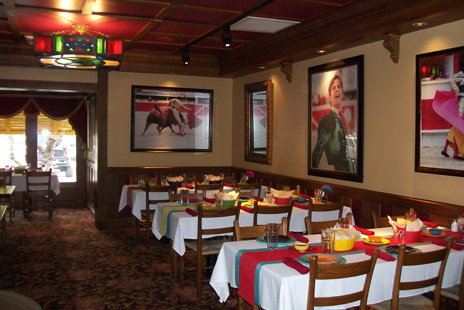 The Matador Room, decorated with authentic matador pictures, large mirrors and light colored walls with a rich dark wood trim, provides an elegant atmosphere with romantic lighting. 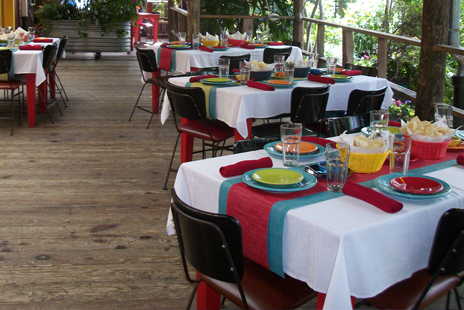 A superb choice for your engagement parties, wedding receptions, retirement parties or business presentations. 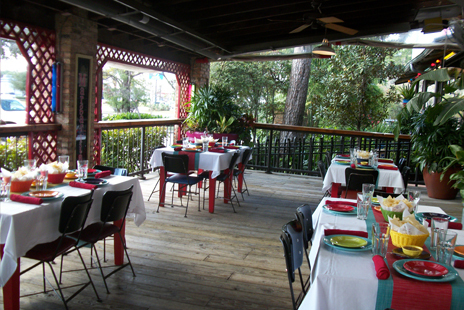 Surrounded by beautiful gardens, our Grand Patio is the perfect choice for all your special events. 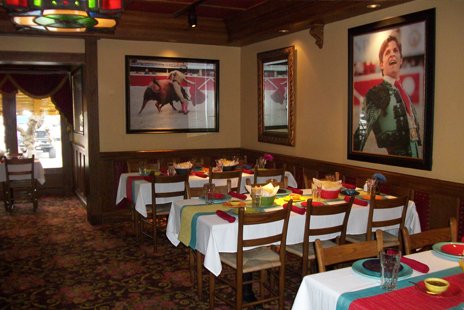 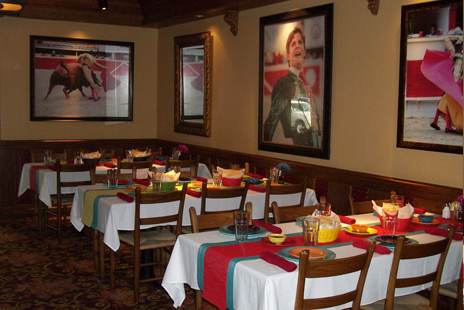 Our largest room can easily accommodate your rehearsal dinner, birthday, graduation or business party. 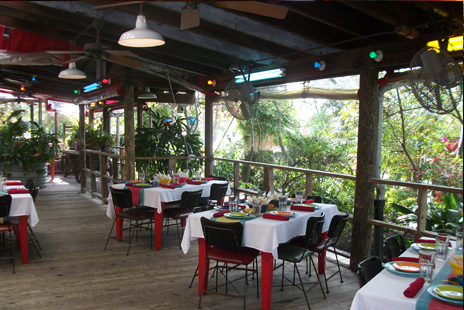 We have installed fans as well as heaters on our covered patio to use at your leisure. 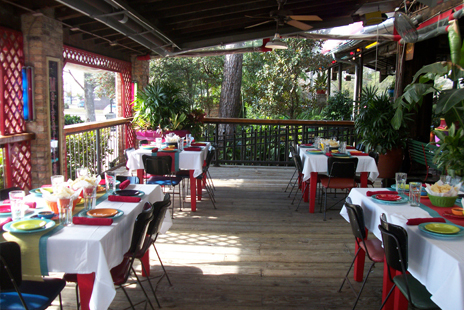 Being an outside area, if by request or due to unpredictable weather, our Grand Patio may be enclosed. 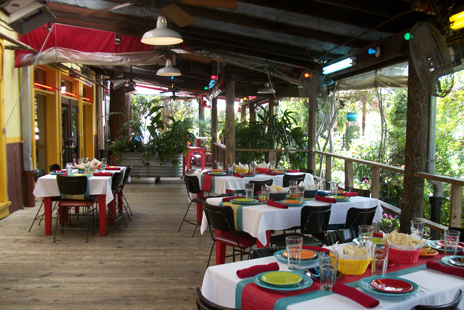 With its own private side entrance through our gardens, your guests will have easy access to your event. 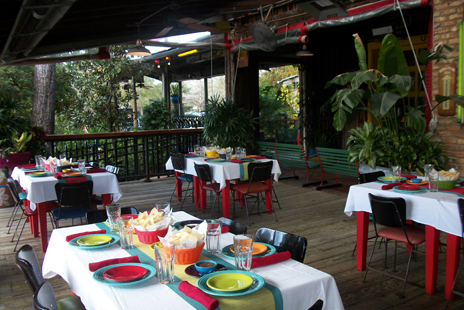 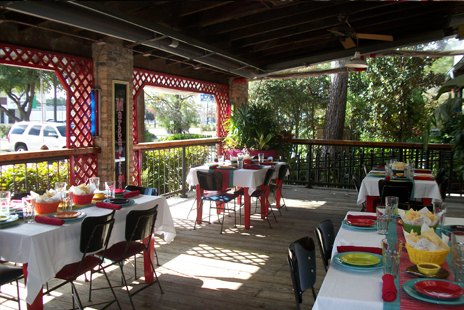 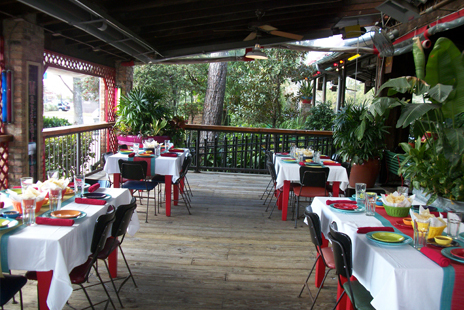 The Fiesta Patio with its close proximity to our bar always makes for a fun party atmosphere. 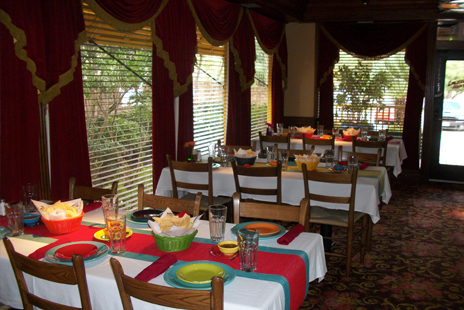 Fans as well as heaters are installed for your use. 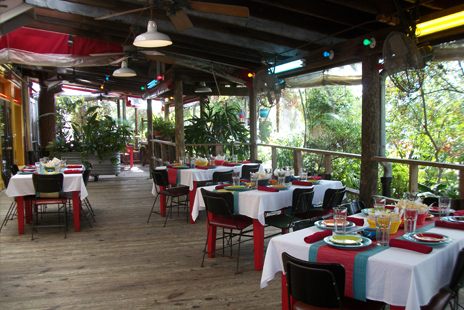 This area may be enclosed due to inclement weather or by request. 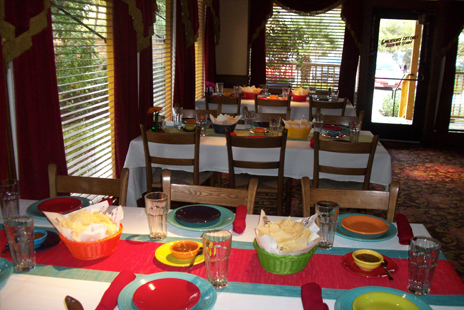 Perfect for all of your special occasions, rehearsal dinners, birthdays, graduations, or anniversary celebrations, our popular Fiesta Patio makes an excellent choice.